In this The Intelligent Investor review I will outline what this book is about, what you can expect to learn from it, and why I believe it is a very important book to read. This book is in my opinion the single best book for an investor. It teaches about the psychology and philosophy of investing as much as strategy and practical application. The Intelligent Investor was originally published in 1949 (no that’s not a mistype) and to this day is still widely regarded as one of the best books on investing. And it is still relevant today. Even though it was written decades ago, most of what is written has stood the test of time. If you read the latest edition of the book, it also has recent commentary from famous investors such as Warren Buffett. They draw out the central themes of each chapter and explain how they apply today. Ben Graham starts this book discussing the difference between investing and speculation. This is a very important subject which I urge everyone to explore if they haven’t already. The book is aimed at the beginner in terms of background investment knowledge. That’s not to say that experienced investors cannot gleam something useful from this too. I would say to anyone regardless of their experience that if they haven’t read this book, then they should. The Intelligent Investor’s first few chapters differentiate between the defensive investor and the enterprising investor in what I think is an important distinction. Not everyone has the time to research and invest in individual stocks, but that doesn’t mean they need to shy away from the stock market altogether. Such people are defensive investors and nowadays there are more ways than ever to invest in the markets passively. There are methods of investment that are suitable for all people but it’s important to have an understanding of how markets work and how to invest sensibly. This book is the perfect starting point. He also describes how to go about stock selection for both a defensive and enterprising investor. The book is filled with examples of stocks and how to apply what he is teaching, but this book alone will not give you enough information to be able to analyse stocks and invest. Instead it gives a general overview of what you are looking for. However that is not the purpose of this book. There are other books, some written also by Ben Graham, that go into much more detail in this area. This book introduced two concepts in particular which have lived until this day and are still frequently used in the investing world. They are Mr Market and Margin of Safety. These are two beautifully simple concepts but which until then had not been articulated. These two concepts are explained thoroughly in the book, but I will summarise them briefly here for those that haven’t read the book. Mr Market – the market can be thought of as a man, offering to trade stocks with you for given prices. The thing about Mr Market is that sometimes he acts irrationally, and will buy or sell something for an absurd price. It is by identifying these irrational moments that investors can profit. Margin of Safety – you should never buy something with a value of $1 for $1 cash when investing. You should look to buy $1 of value for 50 cents. That way, you have a 50 cent ‘Margin of Safety’ so even if that $1 of value shrinks by 50%, you don’t lose money. Both sound very simple, and may sound too good to be true, but many prolific investors over the years have proven Graham right by beating the market. Of course it isn’t simple but the philosophy is an important one to accept if you are to follow a value investment philosophy. 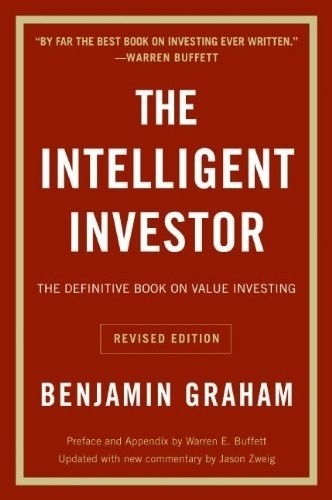 This is less to do with the book itself, but more to do with Ben Graham’s original value investment process. These days it is far more difficult to conduct a pure ‘Graham’ value investing strategy due to the ease with which data is available and analysed. The opportunities around in Graham’s day such as buying companies for less than the cash in their bank simply don’t exist any more. That’s not to say the whole philosophy is flawed, on the contrary the philosophy underpinning it is still highly relevant. But it has evolved from beyond what Graham sets out here, in part due to the investing success of value investors such as Warren Buffett and Charles Munger. While that is outside the scope of this review it is important to keep in mind. This book is merely an introduction to value investing, there is far more to learn. To put it simply, I believe that everyone would be a better investor if they read this book, and I do not recommend products lightly on this site. It’s core teachings are so simple yet so powerful, and the most successful investors in history have been students of Ben Graham. It is a proven method. But don’t expect too much from this book. It wont teach you how to invest, but it will give you a starting point and most importantly, the right starting point for how to psychologically approach investing. Some people immediately click with the value investing philosophy. Others don’t. But I say it’s worth trying. There are few books that I keep, most I give away or sell to save space, but I will never sell my copy of The Intelligent Investor. If I lost it tomorrow I would buy another one, that’s how good I think this book is. Great review of the book and a really nice website. What do you think which review is better?